Our skilled staff can fix dents, windows, paint chips, alignments, tires, rims, and more. You can count on us to return your car back in perfect condition. International Autos Body Shop is located in West Allis near the Metro Milwaukee area, which is easily accessible to public transportation. International Autos Body Shop is thankful for loyal customers that trust us with their luxury vehicle. We understand that buying a luxury car is an investment, and you should not trust just anyone to get the job done right. Our body repair staff are skilled in repairing all makes and models. We are dedicated to providing excellent customer service. When you walk into our body shop, we guarantee a fair price estimate. 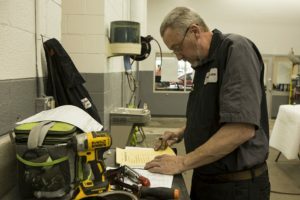 You will be greeted by professional and friendly staff who are trained to help you fully understand the repair process. Our expertly trained auto-body technicians will make sure that your vehicle is serviced properly and is returned to you only looking its absolute best. Don’t just take our word for it. If your car needs a tune up please fill out an online service form or call us at 414-727-6799. We are open from 7:30 am to 5:00 pm on the weekdays. International Autos Body Shop in West Allis looks forward to hearing from you and providing excellent service for all of your repair needs.